A professional Powerflush is a thorough cleansing of your central heating system, and normally results in substantial improvements in efficiency which can lead to a reduction in your gas bills. There are other reasons why it is a good idea to have your system Power- Flushed, including extending the life of a new boiler. GasCare specialise in restoring efficiency to central heating systems with non toxic removal of sludge build up, improving your fuel bills and radiator efficiency. 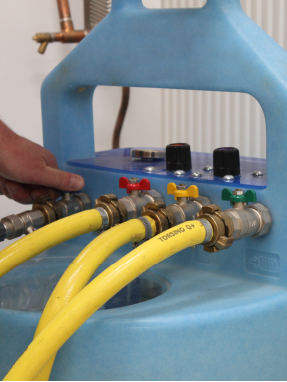 The cost of 'powerflushing' starts from £399 + vat for a small system depending on the type of system you own. If you wish to prevent future sludge build up we can also install an in-line magnetic filter to the boiler. Inline magnetic filters protect your boiler by collecting impurities, sludge and scale deposits which hinder efficiency. The cost of installing a 'magnetic filter' starts from £199 plus VAT. For a no obligation estimate please let us know the type of system you own, the age (estimated), number of radiators, contact us or call 08000 193 194, we will be pleased to help. 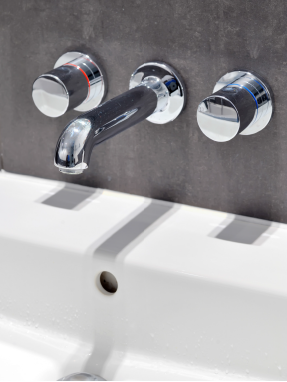 General plumbing is one of the core services that we have been providing for more than 38 years throughout the South, servicing Southampton, Bournemouth, Portsmouth, Winchester, Salisbury, Chichester, Guildford, Woking, Reading, Basingstoke, Newbury and Weymouth areas. For a no obligation estimate please contact us or call call 08000 193 194, we will be pleased to help.